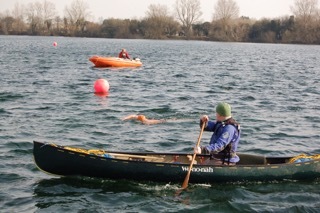 Chilly Dippers events are organised by Waterland Outdoor Pursuits and South West Swim and comprise of a series of 4 events every winter with the aim to encourage people to try winter swimming, be it in a wetsuit or in a costume. In 2015 we looked at the current offerings of winter swimming events and noticed that many were traditional, i.e. only allowing entrants to wear a costume. 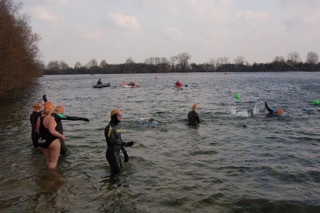 We felt this did not encourage some swimmers to try winter swimming and felt events that encouraged participation were needed, be that in a costume, wetsuit or full wetsuit, gloves, boots and hat. Chilly Dipper events are fully safety covered so provide a safe environment for you to test your limits. We offer various distances from 50metres to 800m / 1km. With safety in mind we do have entry requirments for the longer events of 400m and above and you must be 16 years and over to enter (restrictions and permissions apply). Chilly Dipper events are aimed to provide a small and non competitive environment, so swimmers can enjoy the swim and challenge THEMSELVES. 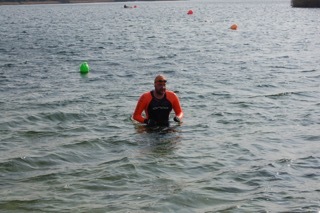 You will get a time for your swim but it is certainly not a race with podium finshes. We had great feedback on this concept in our first year. Afterwards you will get a soup and roll, hot drink and an event medal, plus your swim time.